Realy beautifull Gillet Estafette from 1949. 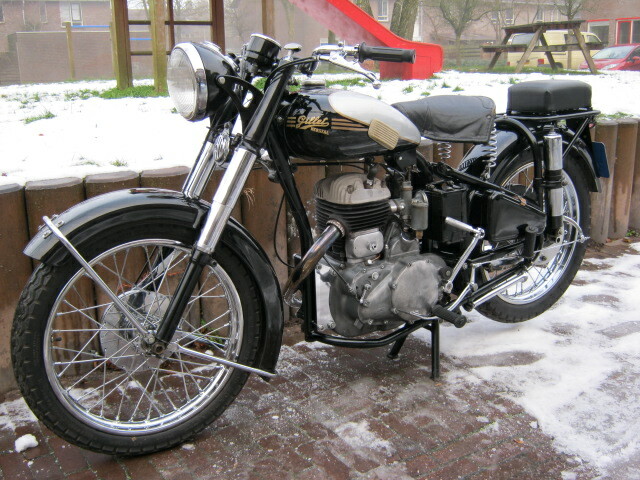 Original army-bike, restored as a civil model. Was restored and rebuit in a very good way some 15 years ago, not much used since, so still in very good condition. Runs and rides very good. Riding it i was impressed by the great torque and the big thumps it makes! 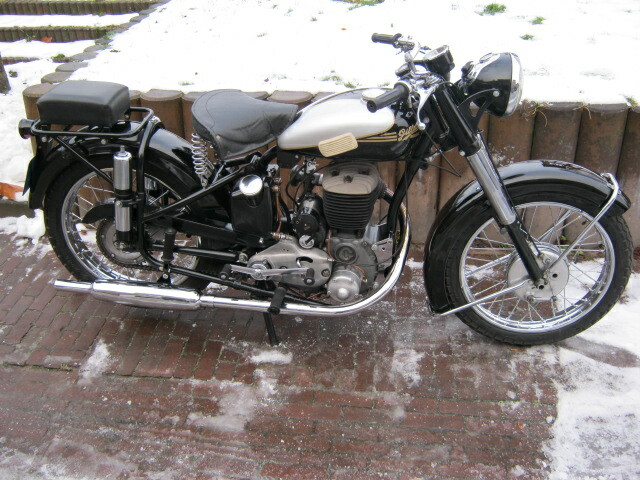 This is quit something different from a BSA M20. With Dutch registration.